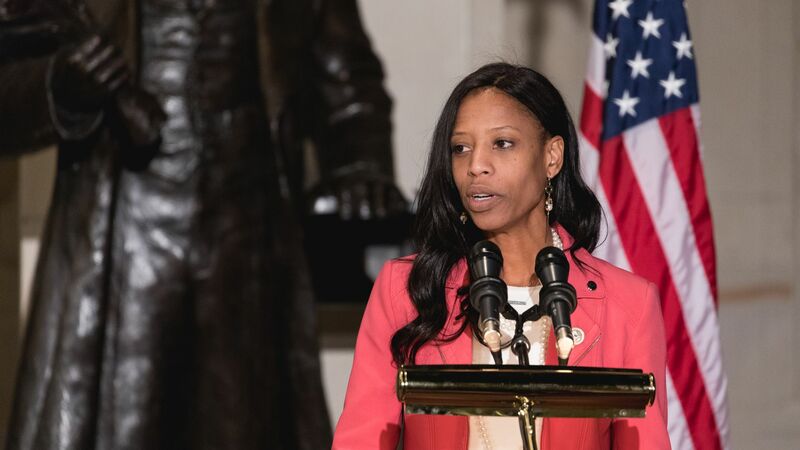 Mia Love calls Trump's jabs after midterm loss "hurtful"
Rep. Mia Love (R-Utah) said President Trump’s comments mocking her for losing her midterm race to Democratic opponent Ben McAdams were "hurtful" and that she thinks Trump has "no real relationships, just transactions," per NPR’s Julia Ritchey. The big picture: Love was speaking publicly for the first time since she conceded to McAdams over the weekend. In a post-midterms press conference, Trump criticized Republican incumbents who did not embrace his support, pointedly singling out Love for giving him "no love."